This shop has been compensated by Collective Bias, Inc. and its advertiser. All opinions are mine alone. 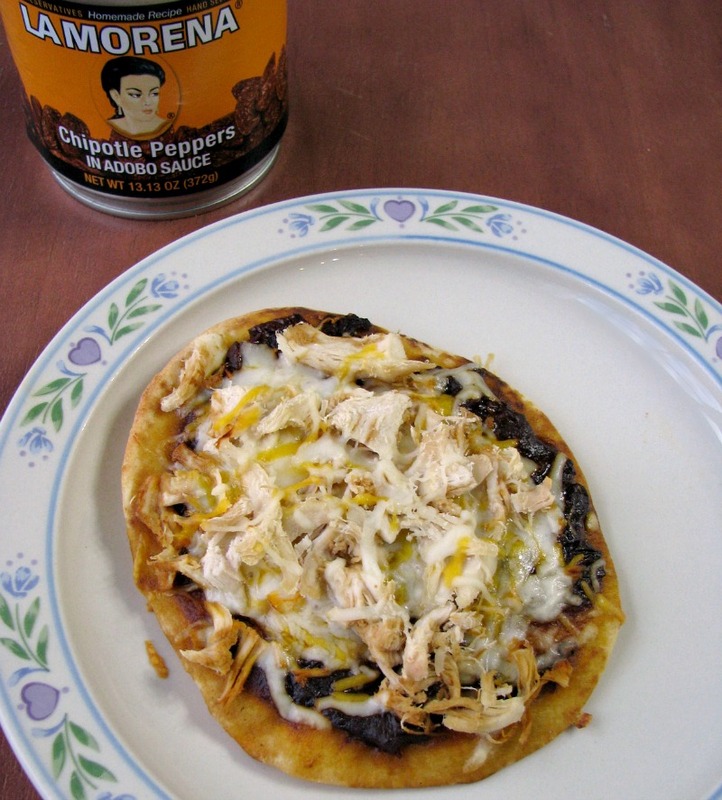 #VivaLaMorena #CollectiveBias Spicy Chipotle Chicken Naan Pizza is easy to make, with diced cooked chicken, chipotle peppers in adobo, Mexican and mozzarella cheeses on top of naan flatbreads. Great for munching on during the playoffs! Happy New Year! I bought myself a spiralizer for Christmas, and am going to do something a bit different this month and share some healthier recipes with you than I normally do, but today we are going to talk football food. LA MORENA®, the leader in authentic peppers and chilies, is holding a fabulous giveaway this month to celebrate the playoffs! Do you watch? If so, do you make awesome food to eat while watching? I make all sorts of appetizers and chili every year for the playoffs. Of course, having a great new TV to watch them on would be nice, right? We also watch the collage football games, so I made these pizza’s when my husband was watching last week. 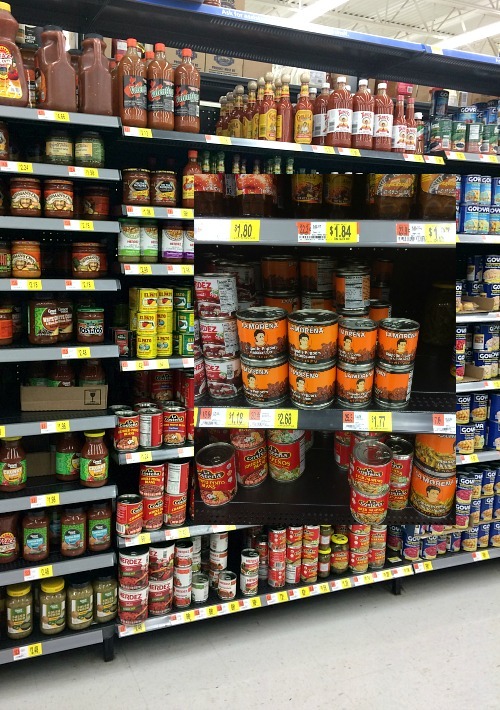 I went to Walmart to pick up LA MORENA® Chipotle Peppers in Adobo. While I was there I also picked up individual size naan flatbreads. 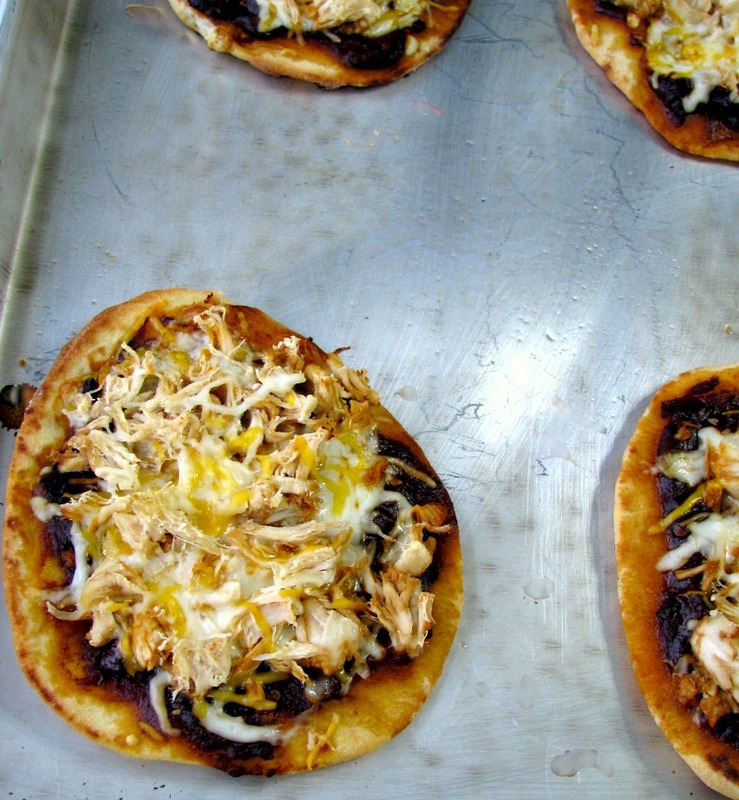 This Chipotle Chicken Naan Pizza can be made either way, individual pizzas or whole pizzas. It is so simple to make if you have precooked diced chicken. You’ll need about two cups. 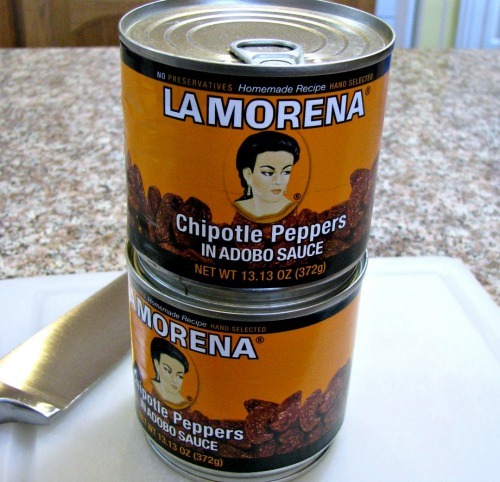 Then, the only thing you will need to do is chop up the LA MORENA® Chipotle Peppers. I bought the 13 ounce size, but for these pizza’s you will only need the 7 ounce, or just save the rest for another use. Chop the peppers up fine and put them back in the adobo sauce. This will be the sauce for the pizza. 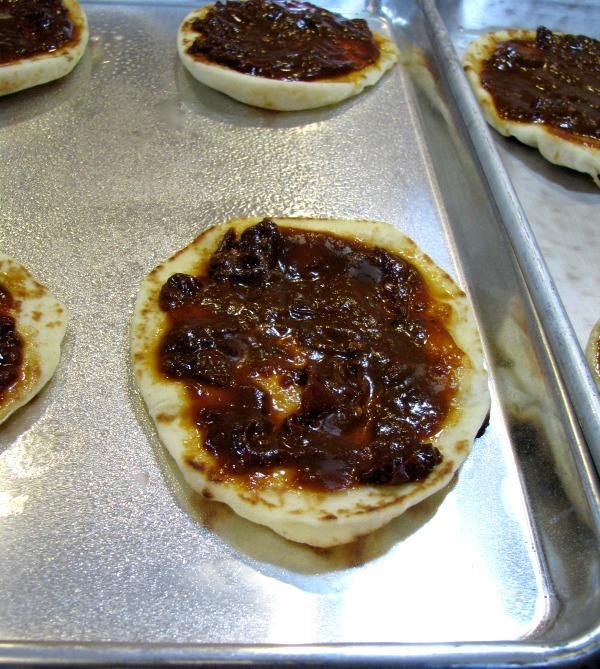 Spread the chopped chipotle peppers with the adobo sauce thinly over the tops of each flatbread. You don’t want to use too much in order to control the heat level. Top with the chicken and shredded cheeses, and put in the oven for about twelve minutes. 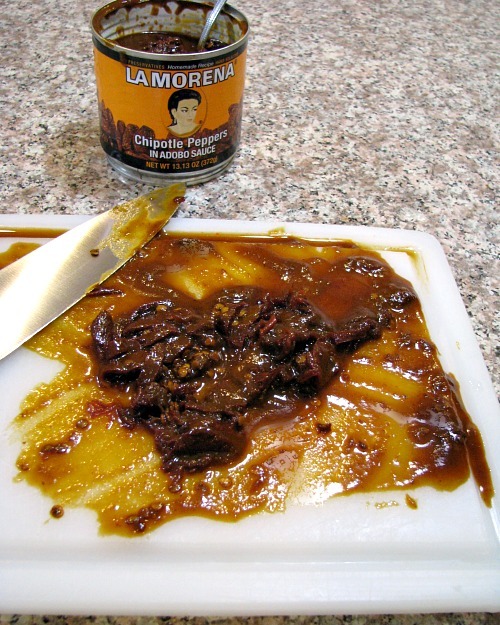 To find more recipes made with trusted, high quaility LA MORENA® peppers or beans that are great for the big game or anytime, visit vivalamorena.com. Spicy Chipotle Chicken Naan Pizza is easy to make, with diced cooked chicken, chipotle peppers in adobo, Mexican and mozzarella cheeses on top of naan flatbreads. Great for munching on during the playoffs! Remove the peppers from the sauce and chop fine; return to the sauce. 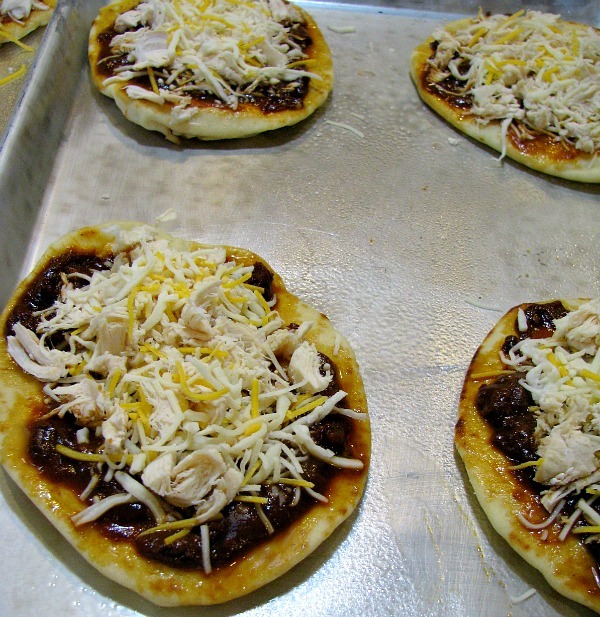 Place the flatbreads on baking sheets. Spread the sauce with the chopped chipotle peppers thinly over each of the flatbreads, top with the chicken and the cheese. Bake in the preheated oven for 11-15 minutes, or until the cheese is melted. Hi Jesenia, they are pretty popular right now because they are so easy to make. Thanks for stopping by!